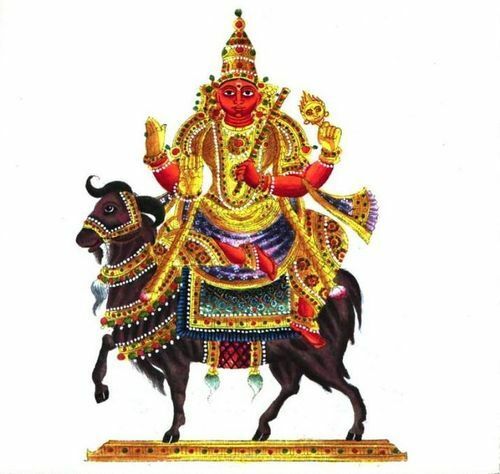 Astrologically, Lord Rahu is connected with foreign travels, unusual employments, creativity, pilgrimage, air travels, homosexuality, masochism, renunciation. The person, who wants to augment these aspects in his life, should opt for Rahu Yagna. Rahu Yagna is devoted to the planet Rahu, also known as dragon’s head. The Graha Shanti Rahu Yagya is suggested to those, whose Rahu is incorrectly placed in the birth chart to remove the Rahu Dosha or the bad effects of Rahu Maha Dasha. This Yagya, in combination with Ketu Yagya, is highly effective and beneficial in removing the ill effects of Kaal Sarpa Dosha, if present in the Horoscope. Many of our clients have testified perceivable effects of performance of this Yagya, in combination with Ketu Yagya. According to the Jyotish astrology, the north joint of the moon is called Rahu. The physical structure of Rahu is conceptualized in the scriptures as semi body of a lioness having a giant body and very powerful. Rahu planet is the reason for eclipse as it is called ‘Chhaya Graha’ (silhouette planet). The character of Rahu is airy. The Yagya performed for Rahu brings the optimistic energy and neutralizes the harmful effects. The ill effects like financial loss, unexpected sickness or hindrance in marriage are nullified with this Yagya. Rahu is related to the Aquarius zodiac sign, but has no zodiac sign of its own. Rahu lives for 18 months in a zodiac sign and is considered to be clever and of airy nature.